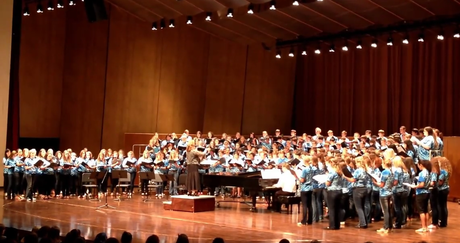 The Eastern Kentucky University annual High School Choral Day is a one-day event designed to prepare students for the Kentucky All-State Choir auditions. One to two additional pieces are also included in order to give students a variety of musical experiences. Led by EKU’s choral faculty and graduate students, the event hosts students from throughout the state who come to experience a unique learning opportunity with their fellow choral musicians. The day features choir sectionals and full rehearsals on the selected repertoire, culminating with a public performance featuring all Choral Day participants as well as the EKU choral ensembles. The cost is $20 per student. This year's event will occur on Thursday, September 20th, 2018. Please visit this link to view more information.